It was an exciting Day 5 at the 2017 FIBA Asia Cup highlighted by Korea's upset win over New Zealand. Japan, Australia, and Lebanon also came out victors. 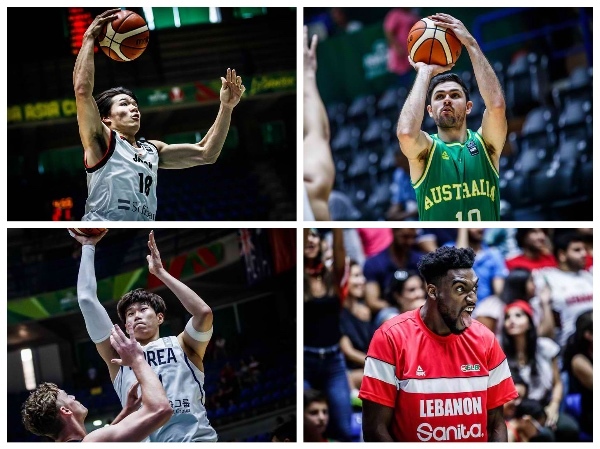 Check out all the recaps and highlights from FIBA.com below. Japan locked up their spot in the next phase of the FIBA Asia Cup 2017 with a 92-59 victory over Hong Kong. With the win, Japan finish up 2-1 with second position in Group D, as Hong Kong's hopes of advancing came to an end as they were unable to pick up a win. Japan made light work of the side from Hong Kong, holding them to nine points in the second period to take a 22-point lead into the halftime break, whilst rotating a number of players. Makoto Hiejima led Japan with a 15-point outing, with Yudai Baba, Daiki Tanaka, and Ryumo Ono adding 12 points each. Ki Lee poured in an efficient 20 points for Hong Kong, going 7 of 9 from the floor. Australia booked their Quarter-Final spot with a 90-50 win over Chinese Taipei on Saturday afternoon. Unable to shake free in the opening stages, Australia reeled off a 7-0 run to end the first quarter period, and then held Chinese Taipei to just 9 points in the second to hold a comfortable 22 point lead at halftime. The Boomers carried on rolling in the second half, putting 45 points on the board to cruise into the quarter finals. Mitch Creek led Australia with 22 points, Brandt had 12, whilst Newley had 9 assists to go with his 9 points. Cheng Liu had 17 to lead Chinese Taipei, who dropped to 1-2. Korea watched Shea Ili's shot bounce off the rim as time expired to pull out a 76-75 win over New Zealand on Saturday evening in Lebanon. Ung Heo's free throw with 27 seconds remaining ultimately proved to be the winner, as Korea held on after a dramatic third quarter rally from New Zealand to get back into the game. Despite the loss, New Zealand stay on top of Group C due to points differential. Sekeun Oh had 13 points and 7 rebounds as Korea's top performer, whilst Jonghyun Lee finished with 16 points on five of six shooting. Derone Raukawa led New Zealand with 14 points, 5 rebounds and 3 assists. Lebanon ensured they kept the home fans happy with a 96-74 win over Kazakhstan to wrap up Saturday's action. The hosts led from start to finish, jumping out to an 8-2 lead with some pretty ball movement to open the game and never looking back. Defensively holding Kazakhstan to just 10 points in the second period made matters worse for the visitors, as Lebanon improved to 2-1 and set up a Qualification to Quarter-Finals match-up with Chinese Taipei. Wael Arakji had 20 points and 5 assists to lead Lebanon, as they also received 18 points from Fadi El Khatib. Kazakhstan saw 23 points from Rustam Yargaliyev and 19 from Mikhail Yevstigneyev but it would not be enough as they saw their hopes of advancing dashed.